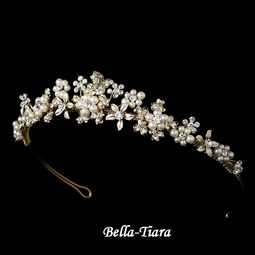 Description: With all the classic elegance you've dreamed of for your wedding day, this floral tiara sparkles with faux pearls and rhinestones. The piece ends with two loops that enable you to fasten it in your hair with bobby pins. 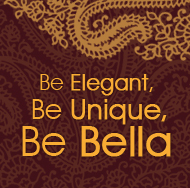 Add the necklace and earrings set to complete that special look! Simply stunning, this gold plated necklace and earring set features a lovely arrangement of rhinestones and ivory pearls. Versatile, the set is the perfect accessory to your classic or modern wedding, and coordinates beautifully with your white wedding dress.